The mind is responsible for both man’s binding and his ultimate liberation from the cycle of birth and death or happiness and unhappiness. As we saw in earlier chapters the personality defects in a person are responsible for unhappiness, whereas his qualities contribute towards his happiness and contentment. The personality defects and qualities of an individual also impacts society especially if a person is in a position to influence society. Today with the popularity of the Internet and social media, the scope of how one person can affect others across the world has dramatically increased. Personality defects generally result in giving a person and others unhappiness and also warps one’s attitude towards life. However apart from just unhappiness there are also spiritual repercussions to personality defects. 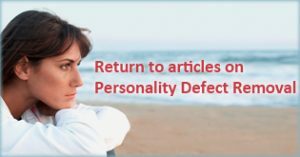 Let’s look at what happens to a seeker who tries to practice Spirituality but has many personality defects. Lack of concentration: SSRF recommends the spiritual path of The Guru’s grace which has 8 steps in spiritual practice. Although chanting the Name of God is the foundation of this spiritual path, it becomes difficult to create a centre of the chant (a devotion centre) in the subconscious mind as it is already full of personality defects and ego. Due to various personality defects a seeker is unable to concentrate on the chant he is chanting. In fact due to one’s personality defects, a person finds it difficult to concentrate on any type of spiritual practice. 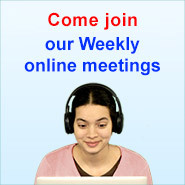 Unable to merge with God: The ultimate goal of spiritual practice is to merge into God. However just as a drop of oil cannot mix into water due to inherently different properties, likewise, for one who has many personality defects, it is impossible to merge into God who is flawless and all virtuous. No satisfaction from spiritual practice: A seeker who has many personality defects and a high ego can never get satisfaction from spiritual practice as his negative temperament will always get in the way. Control of negative energies: Such a seeker can very easily be swayed and even controlled by distressing energies from the spiritual dimension as they take advantage of his various personality defects and ego. Reduced capacity for spiritual practice: Mistakes committed by a seeker due to his personality defects and ego reduce the energy achieved through spiritual practice, and his capacity and efficiency also get depleted. Due to all of the above reasons seekers with many personality defects do not progress and get stuck in the cycle of birth and death. Up till now, for beginners in spiritual practice more importance was given to ‘Naam’, ‘satsang’ and ‘satseva’ among the 8 steps of spiritual practice. 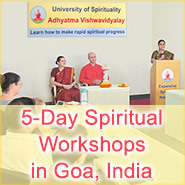 However now as per the time and realising the importance of eradicating PDs and ego, seekers should try to undertake spiritual practice in the following order, namely, ‘eradicating personality defects’, ‘satseva’, ‘Naam’, ‘satsang’, ‘tyag’, ‘priti’, ‘awakening of spiritual emotion’ and ego removal. When a seeker sincerely undertakes ‘personality defect removal’ and ‘ego removal’ as a spiritual practice along with other forms of spiritual practice, rapid spiritual growth is assured.